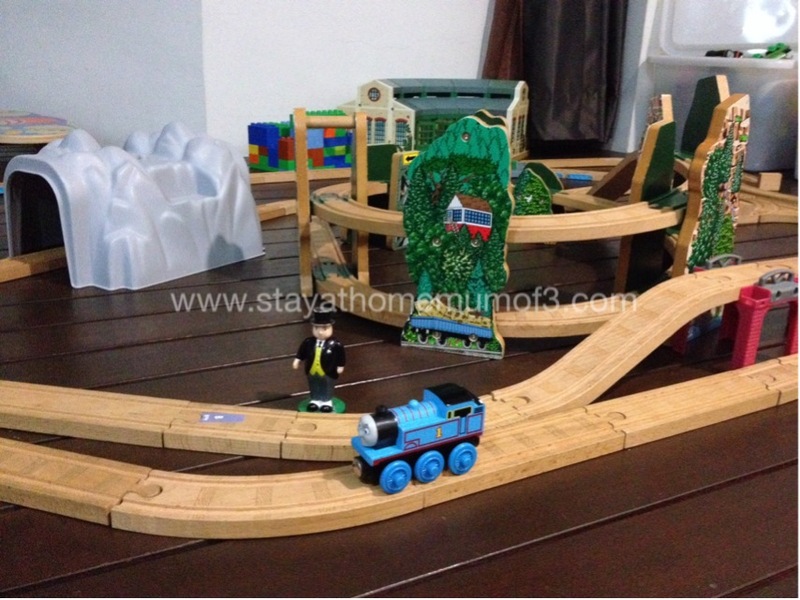 Home: Our Own Indoor Playground! 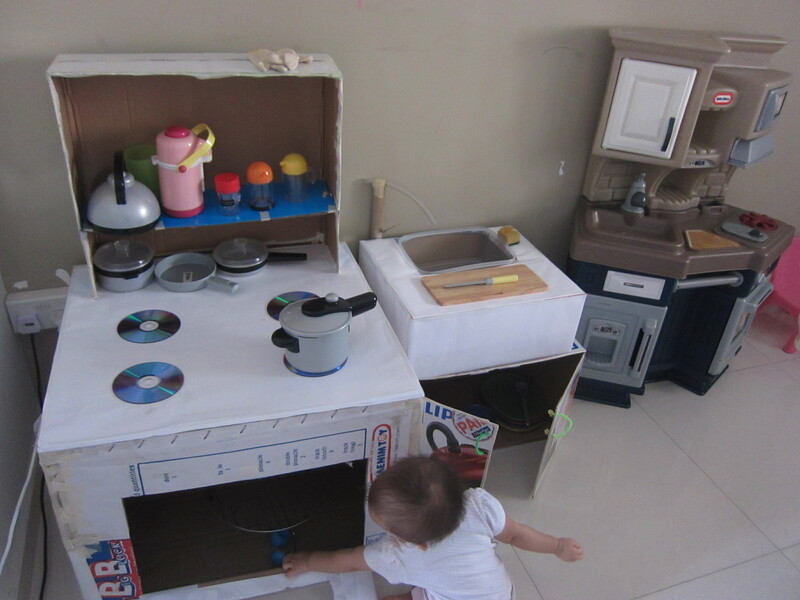 When I saw the cardboard kitchen and fridge at Mum In The Making, I was inspired! I had come across such cardboard furniture before, but back then, there was no real incentive as we already have a Little Tikes kitchen. But now that there are three kids, one burner is no longer enough. 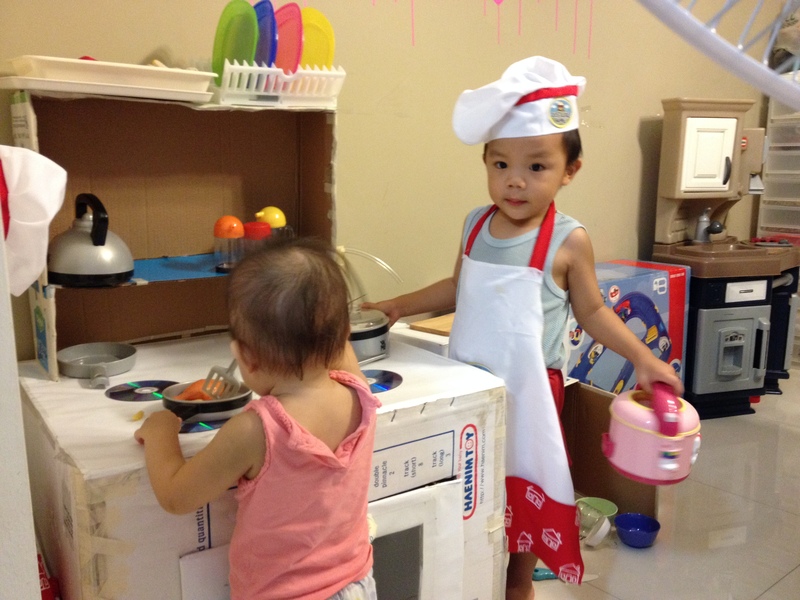 To buy a toy kitchen big enough for three kids would be seriously big money. DIY it shall be! 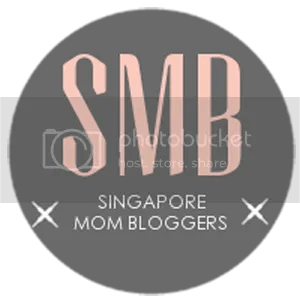 Other than Mum In The Making, I only referred to one other blog for ideas. 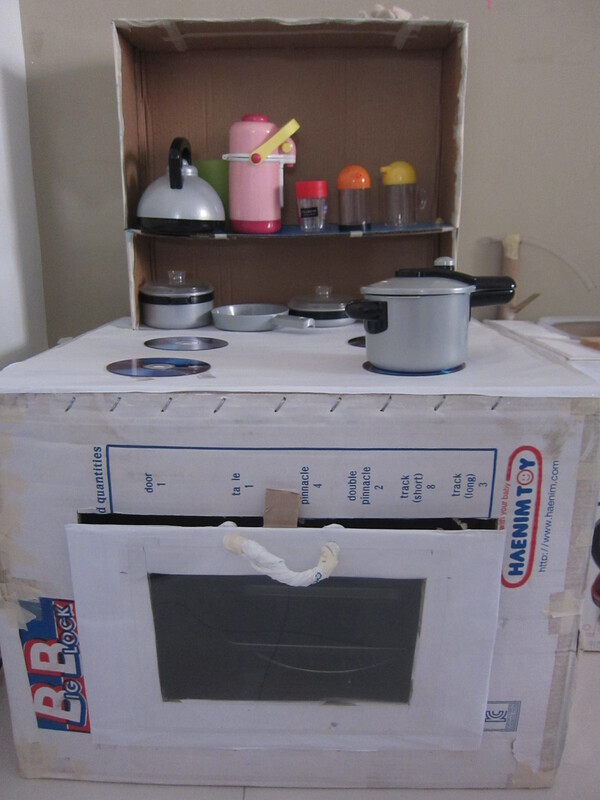 I did view many cardboard kitchens on Google Images and tried to find one which would meet all my needs so that I could just copy exactly. But it was a futile attempt, because we all have cardboard boxes of varying sizes in our treasure chest storeroom, and also because I did not want to have to buy anything extra. Very proud of the see-through oven door! 1) Don’t try to find or wait for perfect boxes. For example, my freezer box isn’t the same as the fridge box, but it’s ok la. 2) I use self-adhesive velcro to keep the doors closed. 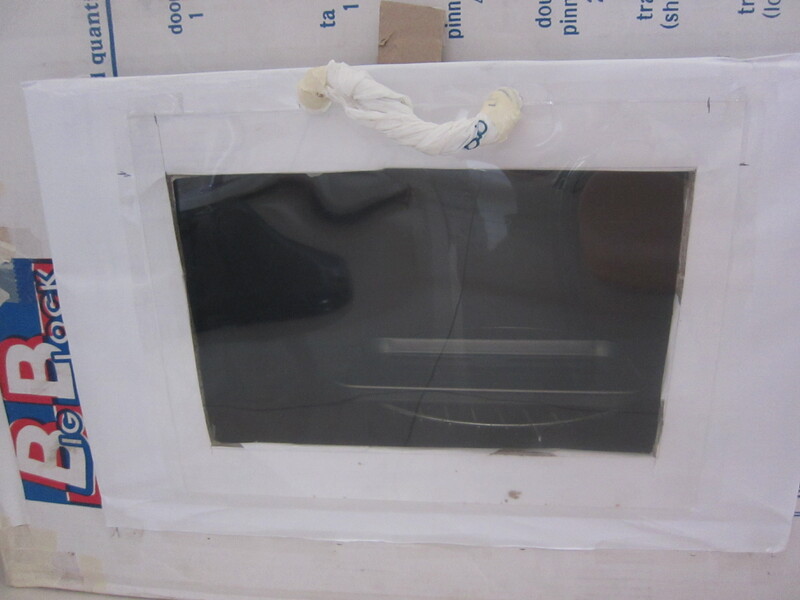 3) For the see-through oven door, I cut a hole and pasted one cover of a folder on the inside. I am a genius, right? Hee hee. 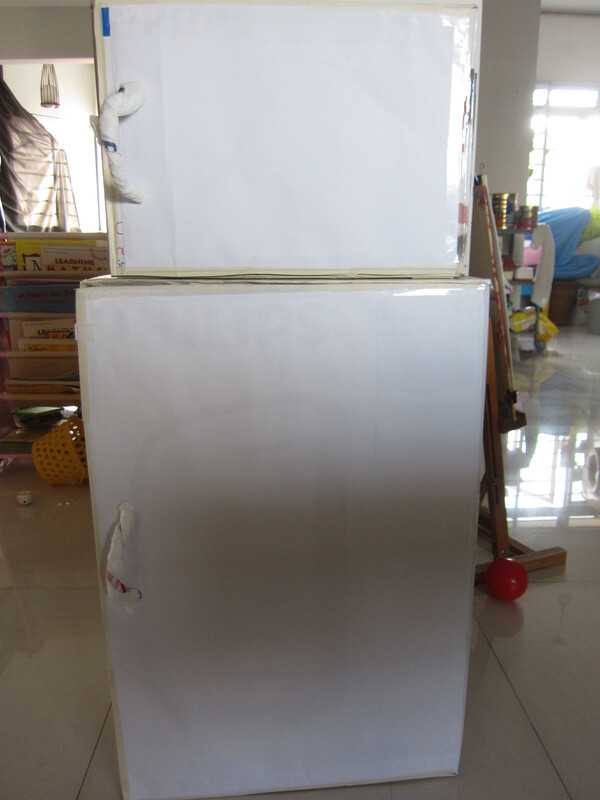 5) Pasted majong paper over some faces of the boxes. I chose to leave some sides uncovered, so that the completed items have a I-can-make-anything-out-of-any-random-box feel. Oh well, just the whims of an artist :p OK, seriously, this might mean the kitchen doesn’t look as neat, it depends on your preferences. 6) I made the tap like that cos I want it to look like the one we have in our kitchen, with a long spout and an up-down lever. 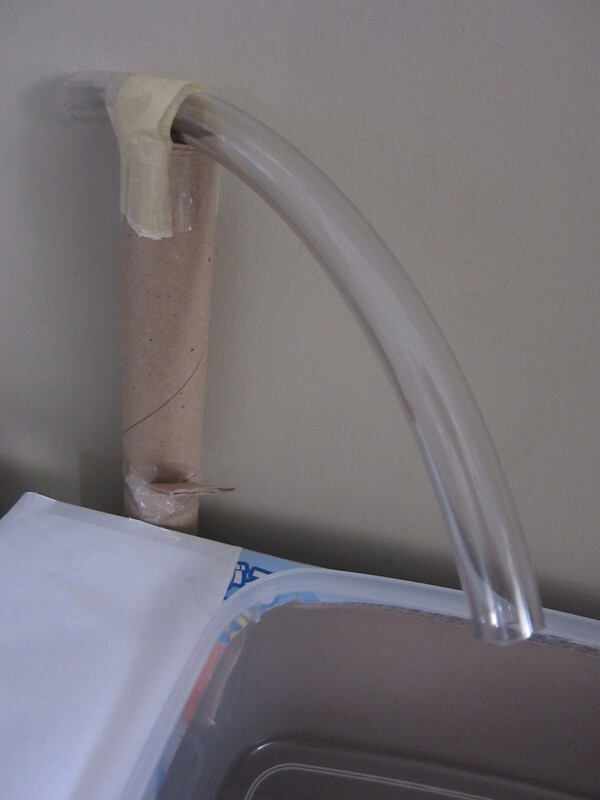 The transparent spout is a water hose. 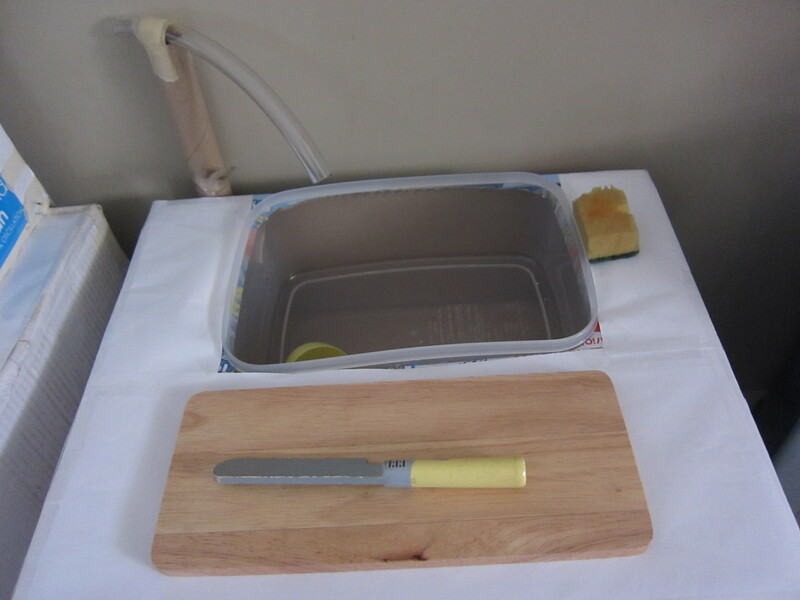 7) The sink is just a food storage container. The two blogs I referred to both did something quite similar, and it seems to be a very common method. Fabulous idea! Most importantly, just get started! 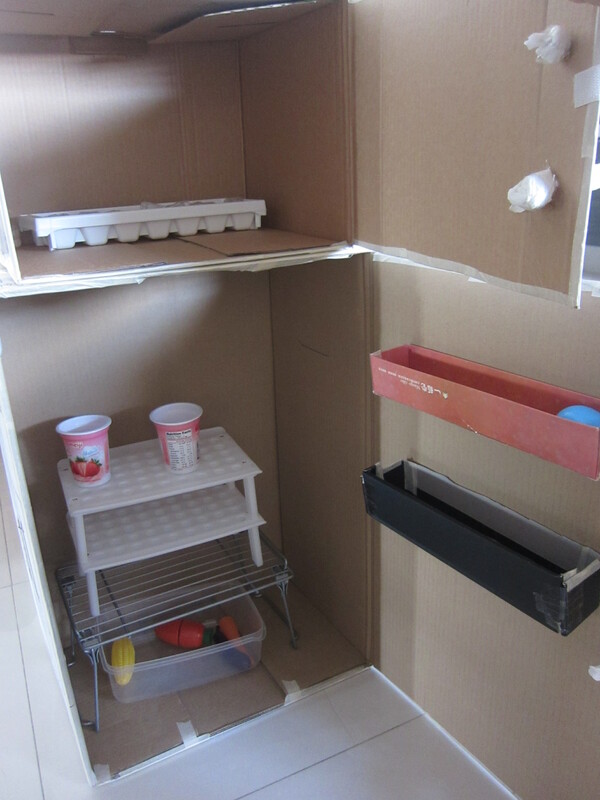 Gather the boxes, penknife, masking tape, velcro, scissors, and create according to the materials on hand! Then one day, I decided to just try to make one anyway! Our circumstances haven’t changed, we are still in a HDB flat more than ten stories aboveground… the only thing that has changed is my mindset! 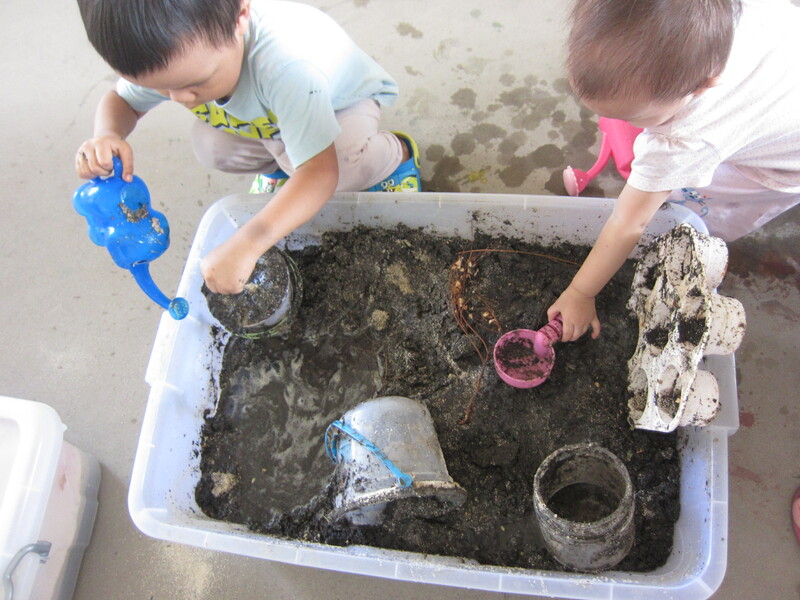 We have had this storage box of mud at the corridor for quite some time, for free play. Setup: I didn’t spend any money on the setup. All those stuff had been collecting dust in the storeroom for ages. I thought it would be quite cool and practical to use old flower pots too, but I didn’t have any. Whatever goes! Accessories: Most of the things I provided for the mud kitchen are old ones which I hardly use. But I am definitely going to Daiso ($2 shop) to buy some more! Cleanup: At the end of the day, I get the boys to rinse the accessories in the ‘sink’ and keep them on the shelf underneath. 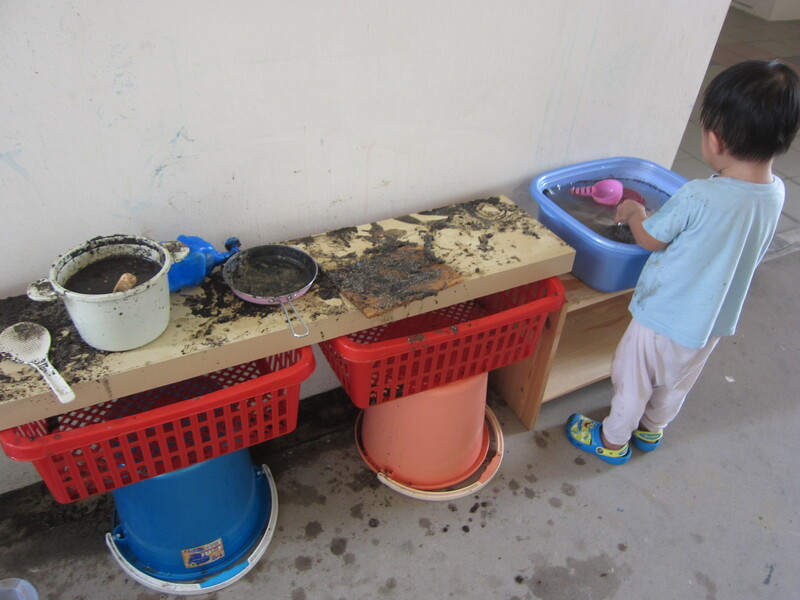 I pour the water into the small drain at the side of the corridor and pour the mud residue back into the storage container. Then I give the area a quick sweep and rinse the drain with some clean water. Quick and simple! Knights. Dragons. Pirates. Giants. Fairies. Robots. Superheroes. How does a four-year-old gain access to these worlds??? I think it’s very important for a young child to have enough brain exercise – in the form of imagination and pretend play. But how can he even KNOW about such things? As of now, he has no clue about Transformers or Spiderman or Superman or Batman. And only recently he started reading Mike the Knight books and watching the DVD. Other than brain stimulation, I firmly believe that a child needs to have fantasy worlds to escape to, to seek solace in. Fantasy worlds are also places where the child has absolute power and control over what will happen next. 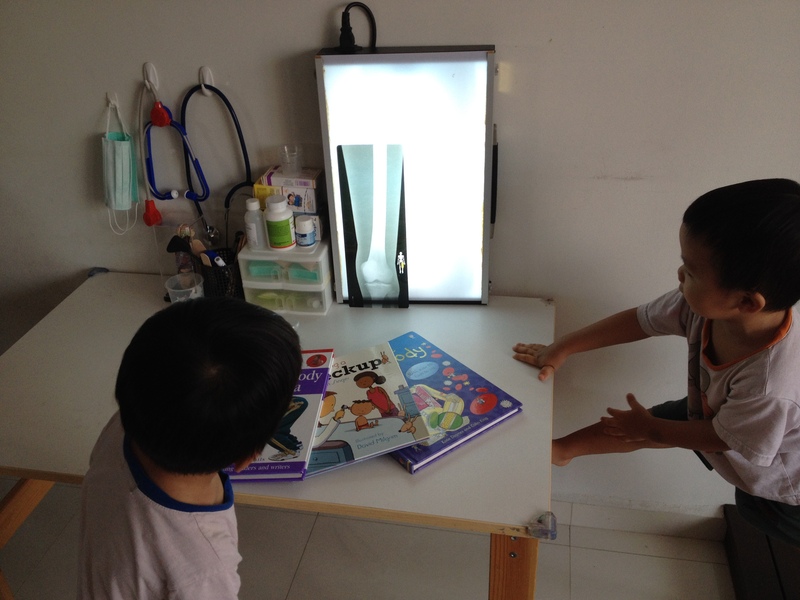 So far, the boys’ pretend play has been largely limited to occupations – firefighter, doctor, police. And they take care of their ‘babies’ and dish up ‘yummy foods’. Not that they must pretend play to be superheroes, but I feel it my responsibility (as a homeschooling sahm!) to at least expose them to more characters. If they do not pick up on it after being introduced to a new character, it’s very much up to them. At the same time, I also have to limit the amount of television the kids are watching (half an hour a day on weekdays, more on weekends if I have time to sit down and watch with them). Television should just provide an introduction to the topic, then reinforced via books and play. I mean, how can a boy grow up not knowing about superheroes and Transformers, right?? 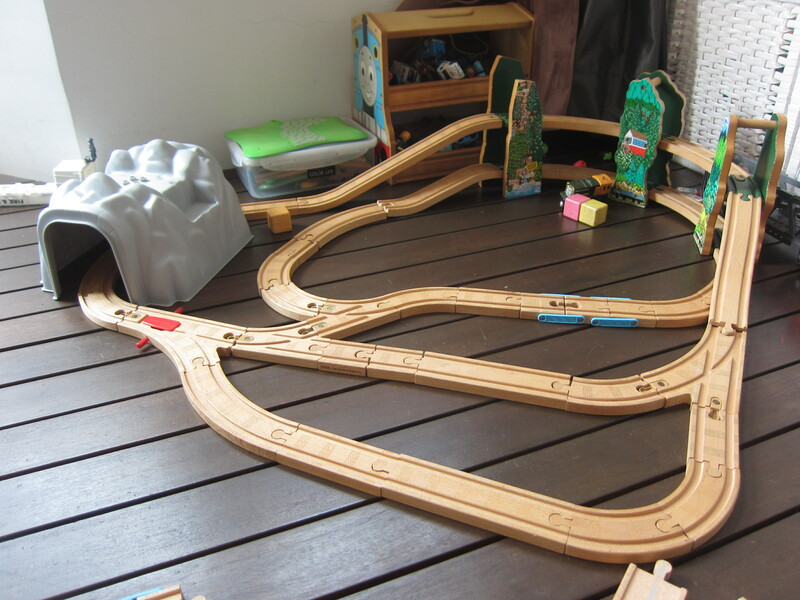 For now, his tried and tested and much loved retreat is Sodor Island! Those pretend play costumes are soooooo adorable, aren’t they? Unfortunately, they are usually not cheap and too big for my boys. Furthermore, who wants to waste those precious minutes putting on &/or taking off the costumes when they are really into the spirit of things NOW? Sometimes tough, sometimes cute, sometimes both! All the hats are from Daiso the $2 shop! No intention to dress my boys up as reindeer for Christmas, but I thought they were a great prop for pretend play.. all year round! I didn’t see them until recently though, guess they were part of the Christmas seasonal items. Hats are very conducive for pretend play dress-up, cos the boys can change hats very quickly – one moment a soldier, the next a bunny! 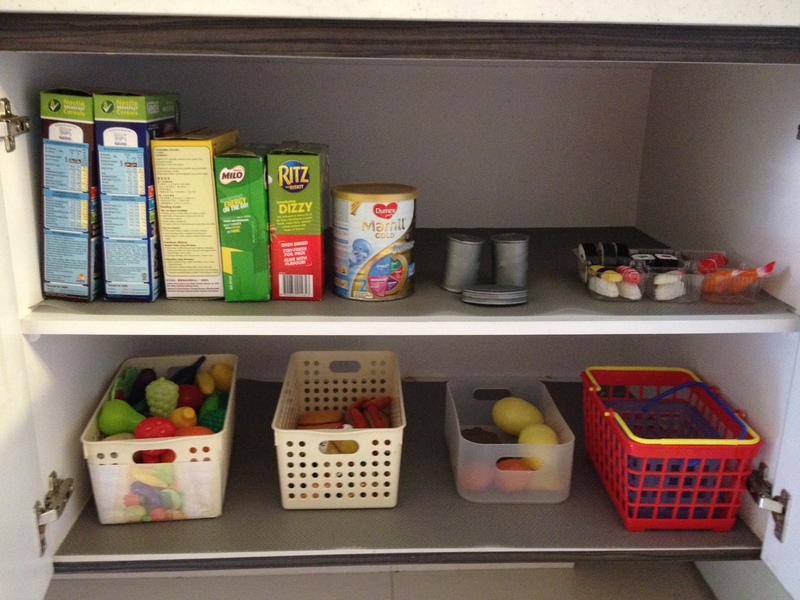 And very convenient to stack up for storage! .. is pretend play too! I like to give the boys stickers of different scenarios, and listen to them spin a story as they paste the stickers. 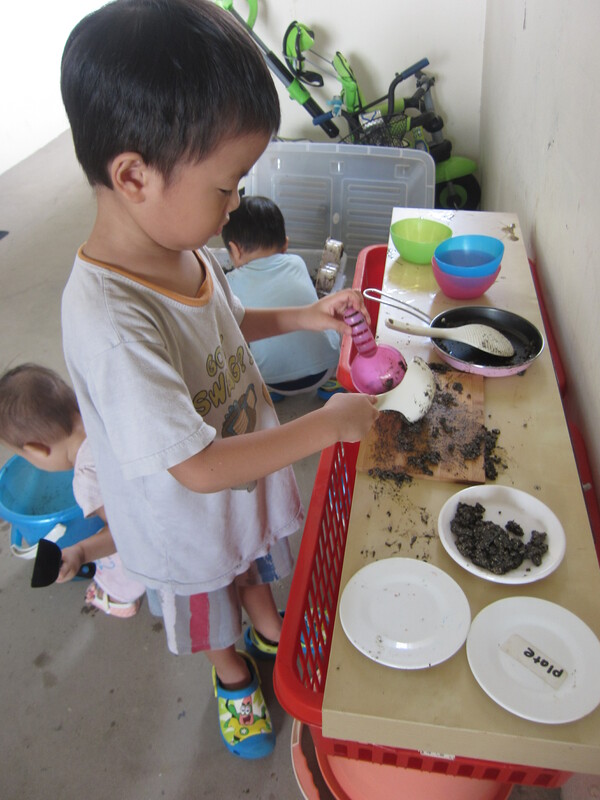 It is somewhat similar to them playing with masak masak cooking toys or a toy stethoscope, but less messy! Preparing for the boys’ first dental visit! Of course, sticker play has the usual benefit of practising fine motor skills, as it is not always easy to peel off the smaller stickers or get the stickier ones to obediently leave the fingers and remain on the paper. Recently, the boys have also started to combine their drawing/colouring with sticker play. What they usually do is they paste the stickers, telling a story as they go, and when they finish the stickers (they are only allowed one sheet of stickers each a day), they paint on the same piece of paper and elaborate on their stories. Storytelling works the imagination, pasting the stickers works their fingers, two-in-one!